Raise your expectations and your Hope will begin to Soar! Refocus on the future, not on whats behind . . . Recently I read the book, Hope Quotient, by Ray Johnston. To me, Hope Quotient is really a game changer and I believe it is the perfect time to share this with you. I hear from so many of you the question – What IF? What if we focus on our Hope Quotient… and WE BEGIN TO SOAR??? I also wanted to share a powerful poem by Marianne Williamson, Our Deepest Fear – and I hope you live it NOW! We were all meant to shine, as chilodren do. We ask ourselves… who am I to be brilliant, gorgeous, talented, fabulous? Actually, who are you not to be? You are a child of God. Your playing small does not serve the world. There is nothing enlightened about shrinking so that other people won’t feel insecure around you. We are all meant to shine, and as children we do. We were born to make manifest the glory of God that is within us. It’s not just in some of us; it’s in everyone. And as we let our own light shine, we unconsciously give other people permission to do the same. As we are liberated from our own fear, our presence automatically liberates others. 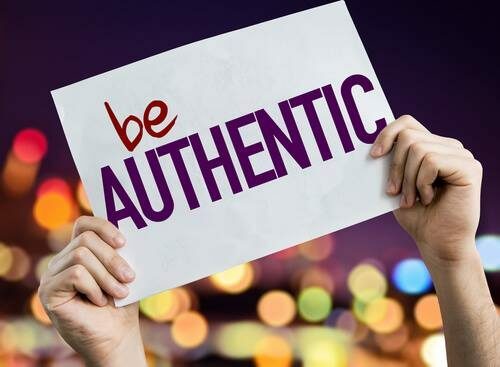 What’s at the heart of every thriving person, every thriving marriage, kid, and business? Hope! Hope: It’s the one thing that can change everything! You have more satisfying relationships. You’re less affected by stress. You’re more willing to help people in need. You hold yourself to higher moral and ethical standards. You’re more likely to assume leadership. You’re more likely to see God as loving, caring, and forgiving. This book will help you discover your HQ level and learn the seven key factors that, when built into your life, unleash hope. When you have genuine hope—not trite, pious platitudes but authentic hope that produces inner strength and confidence—anything is possible. 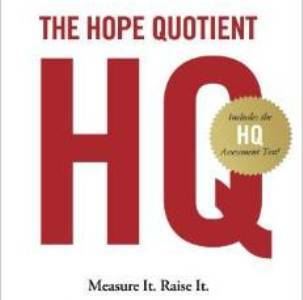 Get your copy of Hope Quotient at Amazon.